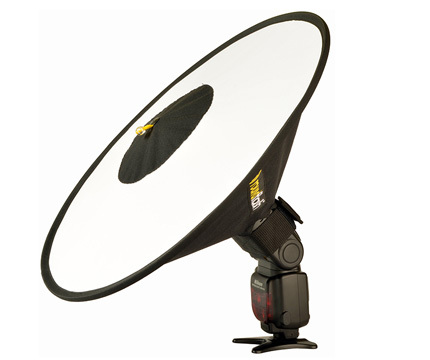 This diffuser changes a regular speedlight into a soft beauty dish, similar to a regular studio beauty dish combined with a sock diffuser. 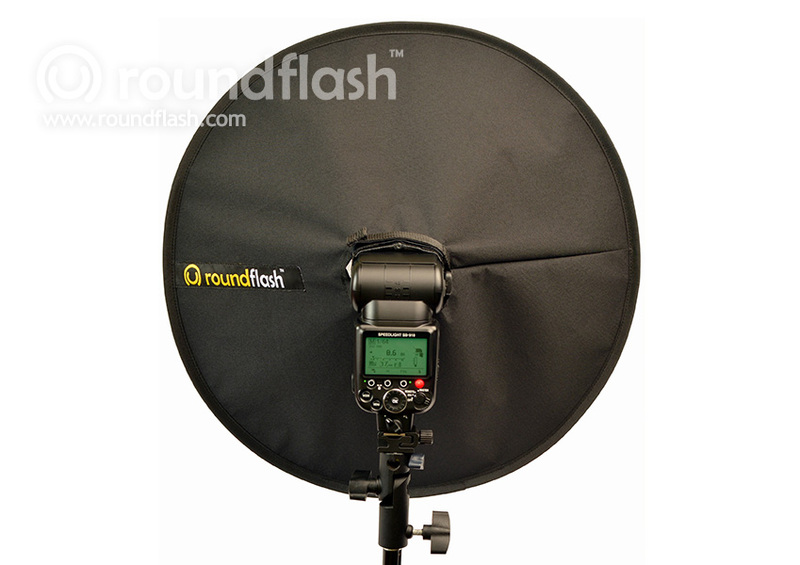 RoundFlash™ Dish is a perfect tool for headshots, portrait and still photography. 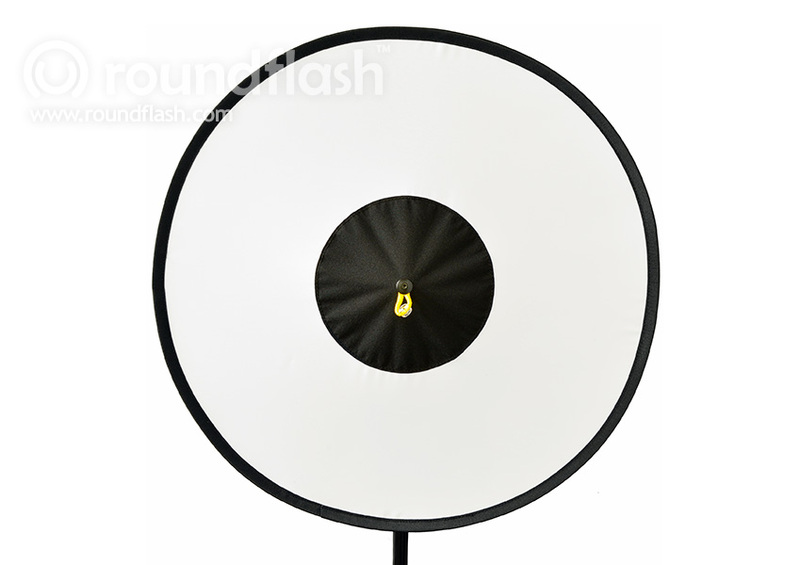 Its compact construction with the mirror system inside allows you to lighten objects with directional, round, smooth flash light. 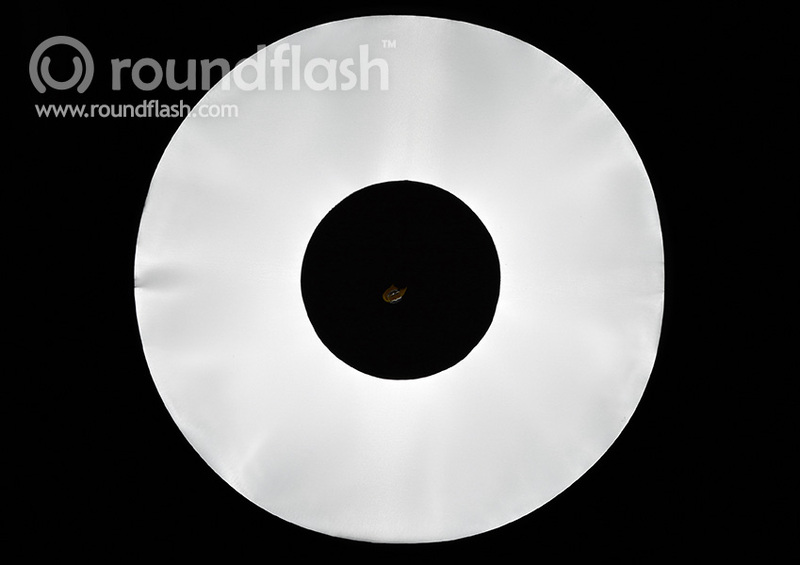 The light from a powerful hot-shoe flash gun reflects in the mirror system inside and becomes a very even ring of light. 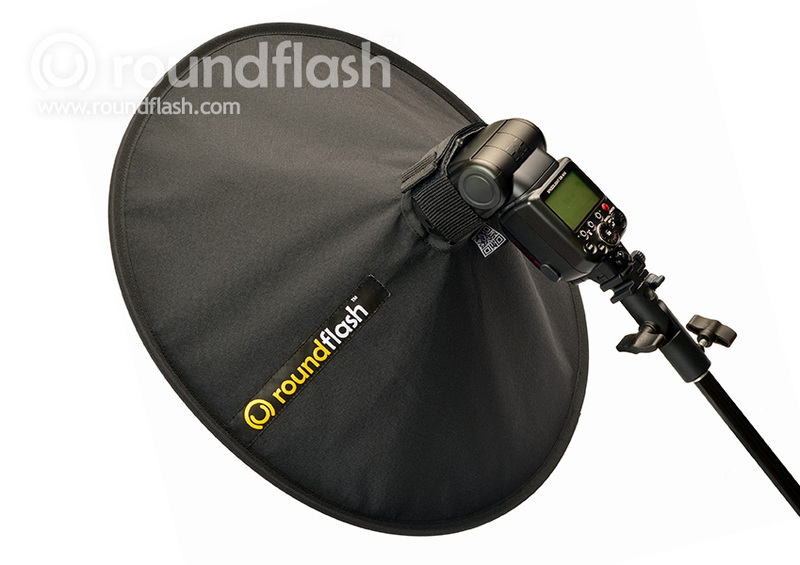 It takes a few seconds to set-up and attach the RoundFlash™ Dish on the flash. 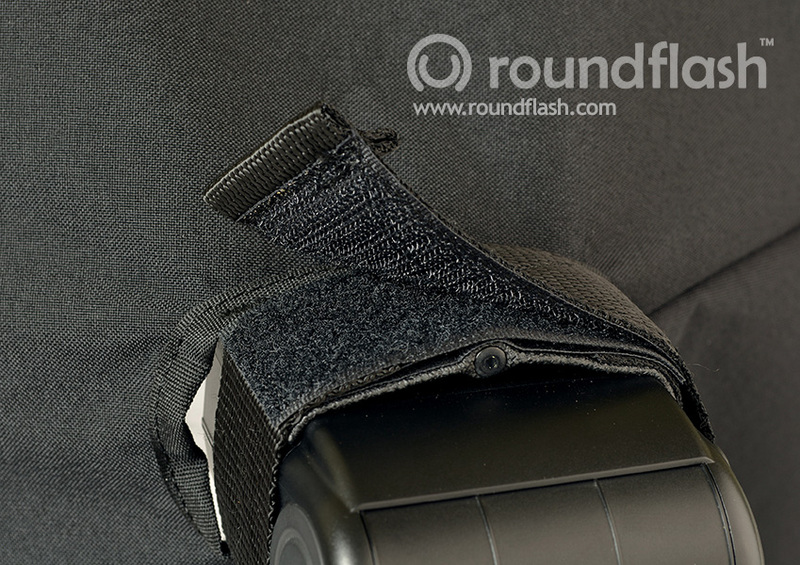 It is attached directly to the flash with a built in adjustable velcro. Without any additional stuff needed. No extra straps, brackets, screws etc. 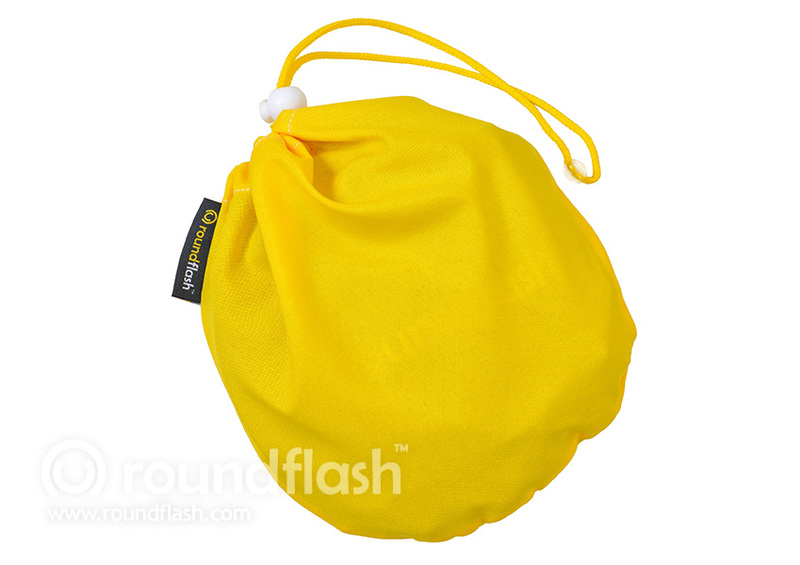 Just the RoundFlash™ Dish and your speedlight. Its ultra-lightweight construction (less then 6xAA accus!!!) 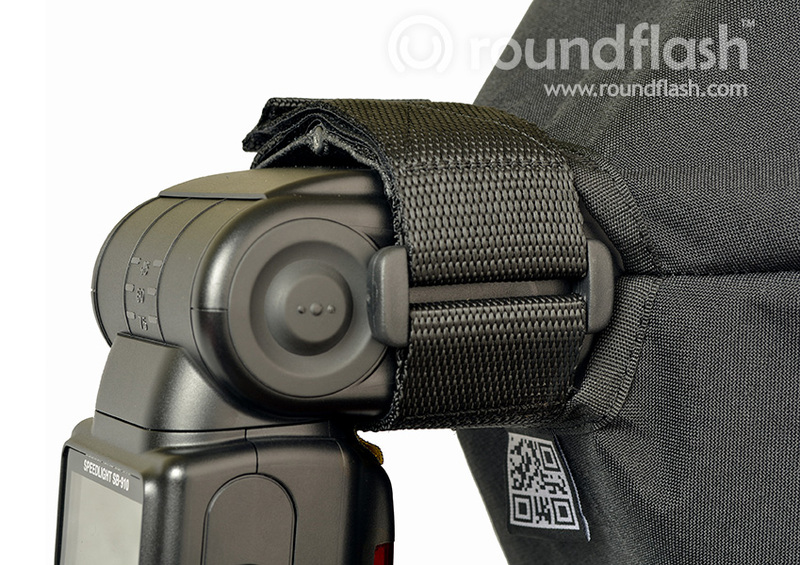 and soft mount eliminate any risk of damaging or scratching the flash unit. 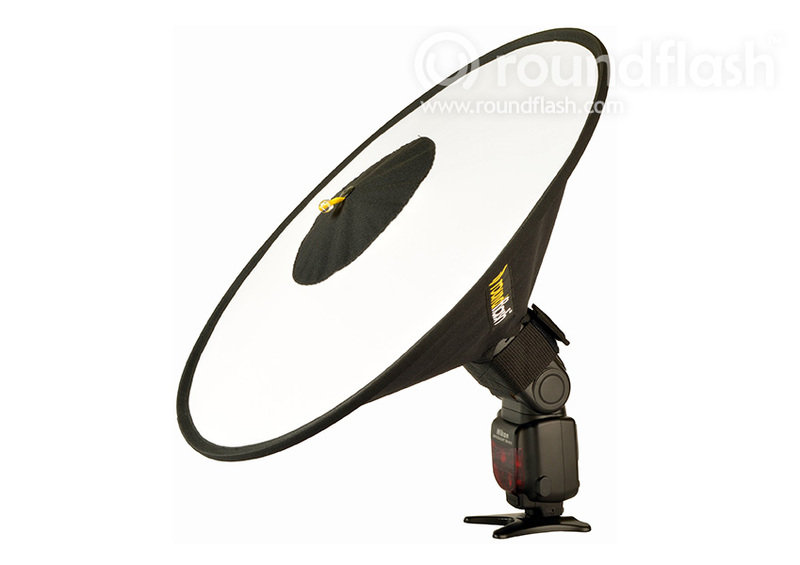 A flash built-in wide panel helps to distribute the light evenly. You can still gel your flash. Pouch dimension 20cm x 16cm \\ 7" x 6"